A very attractive form with dark banded moths. Very easy indeed to breed in captivity. 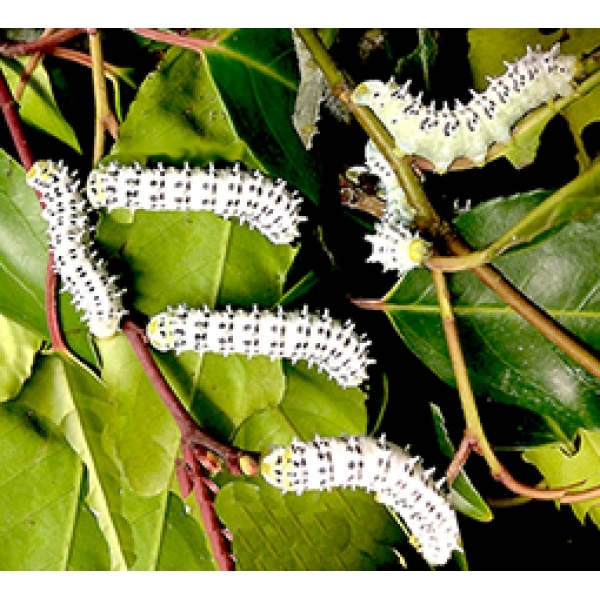 The larvae feed on Privet, and are very easy to rear in all seasons. 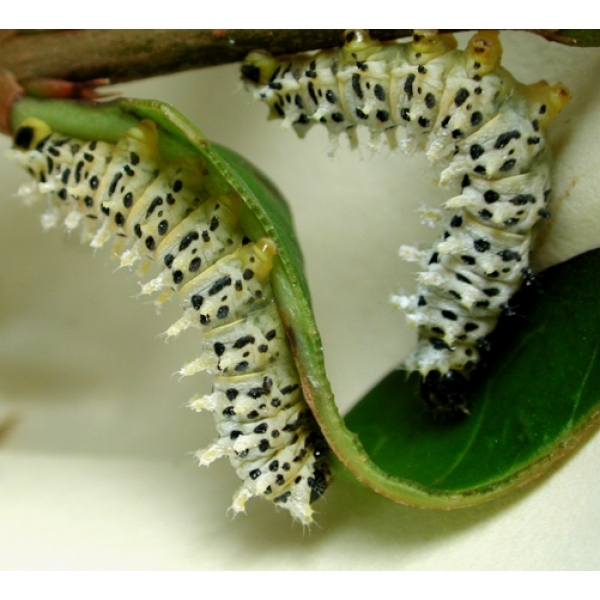 Other evergreen foodplants accepted include Portuguese Laurel Prunus lusitanica, which they relish, Rhododendron, Laurel, and Golden-spotted Laurel Acuba. Deciduous foodplants: Tree of Heaven Ailanthus is quite their favourite food. They also thrive on Willows, especially Osier Salix viminalis, Cherry, Laburnham, Lilac, Rose, Plum, Apple, Ash, Birch, Elder and doubtless many more. 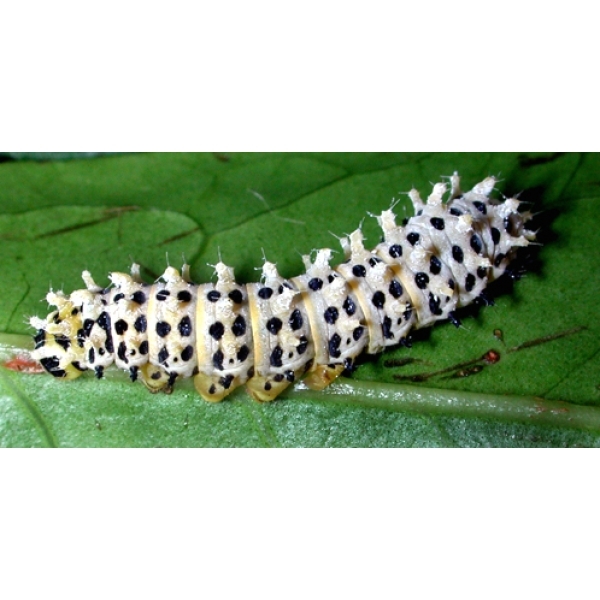 The larvae are gregarious when young, yellow and black. 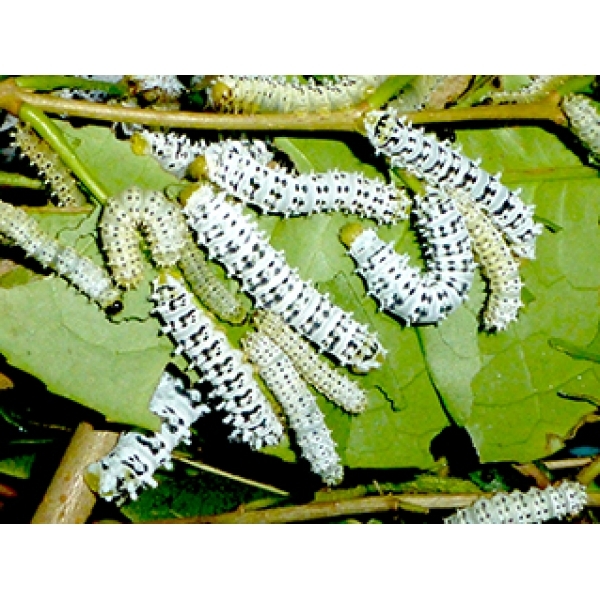 Larger larvae are covered with white waxy powder. 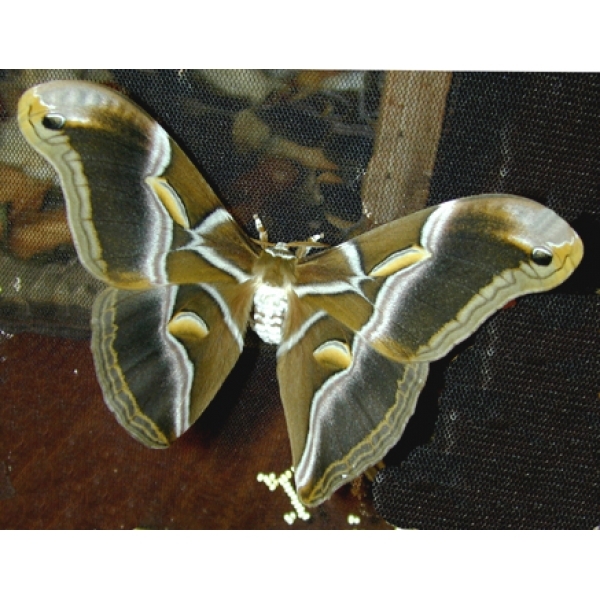 This subspecies is continuously brooded and can be kept going in all seasons. 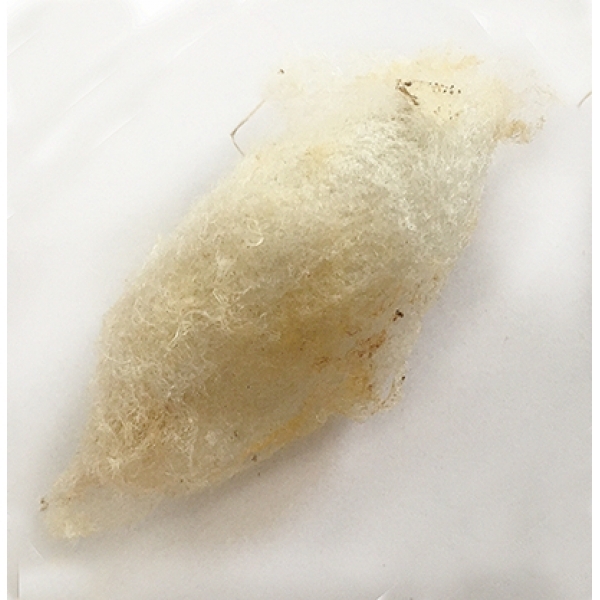 The cocoon is white and can be used to produce spun silk.